Our beloved mother, Carolyn Pruden, passed away unexpectedly on Thursday, February 7, 2019. 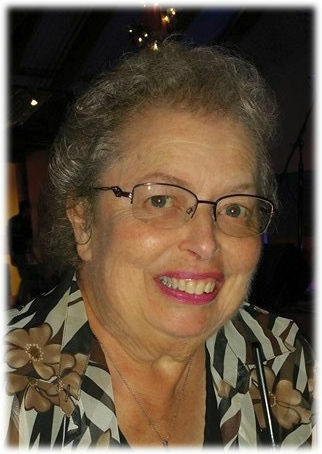 Carolyn was an active member of Zion United Methodist Church in Grover Hill. Carolyn owned and operated Elegant Cakes most of her life. She brought joy to many brides, graduates and birthday parties over the years. Carolyn also enjoyed playing cards after family dinners and with her card club on Tuesdays. But her true joy and happiness was found in spending time with her children and grandchildren. She will be missed dearly. Carolyn was born on January 23, 1944, in Van Wert County the daughter of the late Homer James and Ruth May (Ries) Reed. On June 16, 1963, she married William Marvin Pruden at the Middle Point United Methodist Church and he preceded her in death on June 23, 2009. She was also preceded in death by a brother, Douglas James Reed and a sister, Marilyn Lockie. Family survivors include her four children, Chris (Tamali) Pruden of Scott, Pat (Michelle) Pruden of Middle Point, Kimberlie (Les) Bower of Delphos, and Pam (Rob) Buchanan of West Mansfield, Ohio; twelve grandchildren, Ashley and Devin Pruden, Ariel and Brice Pruden, Alexis, Brielle and Ruger Neeley, Nichole and Tyler Bowen, Shantel Starner, Kristin (Michael) Brown and Kyle Buchanan; and seven great grandchildren. Services will be held at 11 a.m., Tuesday, February 12, 2019, at Zion United Methodist Church in Grover Hill with Pastor Michael Waldron officiating. Interment will follow at Middle Creek Cemetery in Washington Township. Calling hours are 2 - 8 p.m., Monday at Cowan & Son Funeral Home, Van Wert and one hour prior to services Tuesday at the Church. Preferred memorials are to the Zion United Methodist Church.